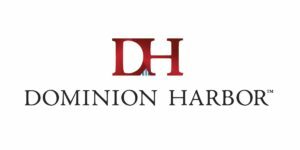 Dominion Harbor Enterprises (DHE) has partnered with Hawkeye Ventures (HV) to create a US$50.0 Million patent acqui sition investment fund. The fund has been structured to allow for maximum flexibility of both investment size and portfolio size. Patents are a unique asset class and, historically, traditional investment capital models have proven themselves unsuccessful – including the public markets. This new fund pairs savvy investment professionals with a world leader in IP commercialization. The relationship with HV allows for net new investment capital to enter the Intellectual Property industry for what’s believed to be the first time in 2017 – here in the US. The team at HV, in addition to being experienced financiers, are themselves, successful innovators and entrepreneurs and see an almost limitless opportunity for a focused and disciplined approach to IP investing. The fund currently plans to invest in 5 to 10 portfolios per year sourced globally and if the market dictates there are provisions to deploy additional capital well above the initial fund commitment. Dominion Harbor Enterprises is one of the world’s premiere intellectual property transaction and advisory firms, with close to $1 billion in revenues generated for clients. It provides its clients with unmatched IP transactional expertise, a full spectrum of IP advisory services, and unrivaled access to highly targeted and credentialed licensees. DHE maintains its industry leadership with IPedia – its patent intelligence insights platform; IPWire.com – The Patent Expert’s Resource – an IP news and information site and its most recent addition IP…Frequently – the leading IP industry podcast. Hawkeye Ventures is the result of blending together the best parts of two prominent entrepreneurs with diverse legal and investment backgrounds. Combining a Harvard Law School alum to a prominent Fintech CEO, the Managing Directors have merged their skillsets, experience, and relationships for the specific purpose of financing high valued investments in a global patent acquisition fund.